When James Pope-Hennessy began his work on Queen Mary’s official biography in 1956, it opened the door to meetings with royalty, court members and retainers around Europe. The series of candid observations, secrets and indiscretions contained in his notes were to be kept private for 50 years. 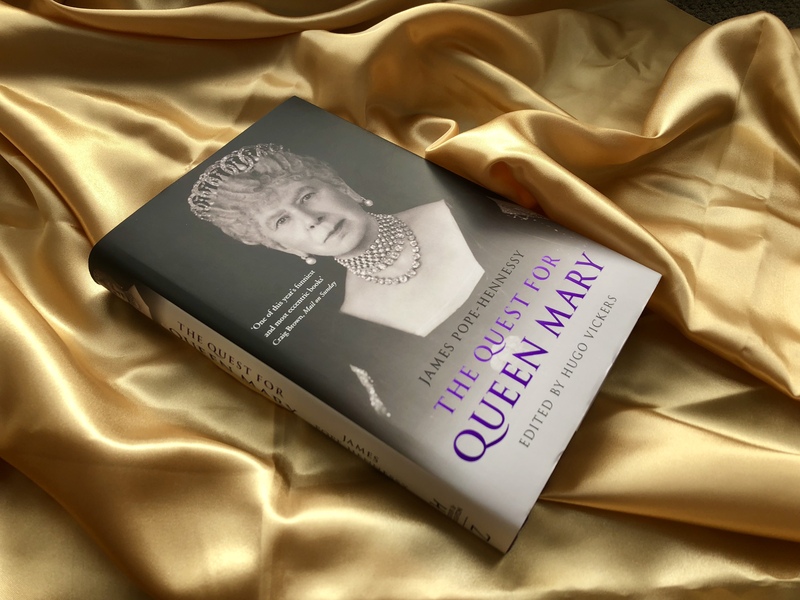 Now published in full for the first time and edited by the highly admired royal biographer Hugo Vickers, The Quest for Queen Mary is a riveting, often hilarious portrait of the eccentric aristocracy of a bygone age. In this extract, Pope-Hennessy makes his first visit to Sandringham, the royal residence in Norfolk where the Family traditionally celebrate Christmas every year, and notes his first (not necessarily favourable) impression of the ‘Big House’, as well as York Cottage where, as Duke and Duchess of York, the future King George V and Queen Mary spent their early married years. We walked up the road, through a gate into a yard where retrievers are trained, and on down a sloping path to York Cottage. This building has to be seen to be believed: it is grotesquely ugly, unarchitected, like something designed by a child – all gables, and beams and little balconies, and hexagonal turrets. It stands on the rim of a melancholy, reed-infested pond or ‘lake’, a leaden pelican looks into the water, an iron bridge (replacing the old ornamental one) leads across to an untidy island, rife with primroses. (N.B. Mrs Bill later showed me a letter written to her in Q.M.’s old age saying how odd it was that she had never seen the daffodils at Sandringham, not having been there at that time of the year). We went round to the front door, which is ornate, and into the house, after first looking at the dining room which is, like all the rooms, minute and has a bay, formed of the inside of a turret, which they used for breakfast. They would have tea under an awning stretched from the dining room French windows on warm days. On the left of the door is King George’s small study, still hung with scarlet serge given him in France (v. the Ferays’ chateau to which I went last year), though it is now cleared of the shrubs which rendered it pitch dark in the old days. Downstairs are two or three more rooms and the drawing room, all of dwarf proportions. Upstairs Q.M.’s dressing-room, with Maple-like fitted furniture painted in white, for all the world like an hotel near the Gare de Lyon; her bedroom next door, where all but one child was born, is equally microscopic and claustrophobic, and looks out over the lake. The best room is the schoolroom, over the dining room and repeating the same bay. There is with it all a total lack of fantasy about the building; it was expanded from being the Bachelors Cottage (built by a Colonel Edis) by flinging on now one room now another, like a house made from several sets of toy bricks. It is middle-class, suburban, in some indefinable way pretentious and utterly uncosy. Of course it is now the estate office, and the paint is peeling off the outside woodwork; but even in its heyday it must have been peculiarly unattractive. We then walked up to the Big House, which is as large as York Cottage is small. It is a preposterous, long, brick-and-stone building with a terrace behind it (no balustrading); once more hotel-like – Pitlochry or Stratpeffer perhaps – tremendously vulgar and emphatically, almost defiantly hideous and gloomy. The grounds round are very pretty, especially at this time of the year; good trees and shrubs, ground falling away into dells and rising to small eminencies, a larger lake, a vista of green lawns fading away towards the Church Walk and the church tower in the distance. A giant Chinese god, not exactly a Buddha, with a lascivious smirk on its face (rather the face of Kruschev) sits under a pagoda-roof, flanked by Chinese lions: Admiral [name omitted] sent it from China for King Edward; the children, the late King told Fellowes, always called it ‘Laughy’ or ‘Goddy’. The late King laid out a formal garden running from the house towards the Norwich Gates, and installed a stone figure of Father Time at the end of it; he also abolished some beds and ponds and extended the flat wide lawns. Queen Mary was always planting, as she hated to be pried upon by the public from the Norwich Gates, which are unexpectedly close to the house; it seems strange they could not have found a property more truly secluded. All the blinds of the sleeping formidable house were drawn, tall white blinds, and the windows glittered in the orange setting sun. It was all rather ominous and charged with implications of past unhappiness which, one could sense, but not grasp. The Quest for Queen Mary by James Pope-Hennessy, edited by Hugo Vickers, is out now in hardback, ebook and audio.